The 4-H Clover Kid program is designed specifically for youth ages five to seven. The program offers a variety of educational and recreational experiences in non-competitive environments. These opportunities are ideal for developing confidence, creativity, and competence during this stage of youth development. Clover Kids is the officially recognized program in Nebraska for children under the age of 8. The program is designed to provide 5 to 7 year-olds a variety of educational and recreational experiences in a non-competitive environment. Clover Kids provide an excellent opportunity for youth to achieve his/her highest potential because early life experiences affect future development. Counties may also offer additional opportunities for Clover Kids, and each county has their own guidelines and deadlines for Clover Kid participation. For more information about getting your child involved as a Clover Kid, please contact your local Extension office. The primary goal is to promote the child's stages of development - intellectually, physically, socially, and emotionally. Children possessing these life skills are less likely to have problems with drug use, school failure, delinquency, and depression as they move into their teenage years and then into adulthood. Is a Clover Kid in 4-H? Yes, but they participate in a different way than a 4-H member. Clover Kids do count towards 4-H years, thus a youth can be involved in 4-H for 14 years. What type of projects can Clover Kids sign up for? Projects range from cooking, crafts, gardening, pocket pets (fish), and bottle lambs for example. Clover Kid projects do vary from county to county. Please contact your local Extension Office for more information regarding specific projects available in your area. How do I get my child started as a Clover Kid? 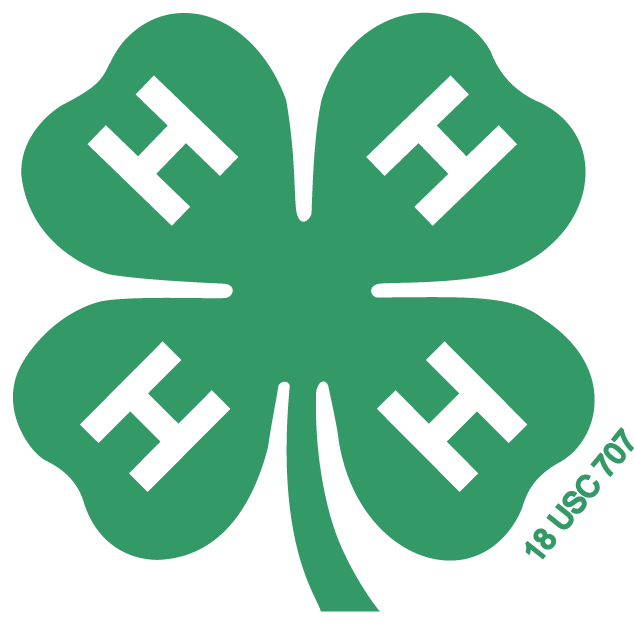 Some counties require Clover Kids to officially enroll in 4-H through the 4-H Online system. Please contact your local Extension office for enrollment information, deadlines, and fees associated with joining. Can Clover Kids exhibit at the county fair? Yes, Clover Kids are encouraged to exhibit something at the county fair. Clover Kid exhibits are non-competitive and for exhibition only, they do receive participation ribbons. A Clover Kids "show-n-tell" is an example of how youth can feel part of the fair without being competitive. Members are provided a place and time to talk about their exhibit and show what they have learned. Can Clover Kids go to camp? Yes, Clover Kids may attend camps designed to meet their developmental stages. A Clover Kid camp involves youth in a one-day or a multi-day camp-like setting where educational, hands-on activities occur. Counties may offer various Clover Kids camps. Please contact your local Extension office for specific camps offered in your area. Day Camps are also offered at two Nebraska 4-H Camp Centers throughout the summer. Can parents, grandparents, or guardians be involved? Yes! Everyone can participate as volunteers. Whether it is making food for a club meeting, driving members to activities, becoming a 4-H leader, or interacting with your child with various projects, there is always room for everyone in a child's life. Contact your local Extension office for more information about volunteer opportunities in your area. What is the difference between Clover Kids and older 4-H members? Children 5 to 7 years old develop and learn in ways different from younger children (2-4 years old) and older youth (8-18 years old). Knowing these differences, projects, and activities are designed to provide a foundation for Clover Kids to develop effectively. Why is the Clover Kids program non-competitive? Studies prove non-competitive environments are more likely to develop confidence, creativity, and competence in children. The Clover Kids program corresponds with the child's stages of physical, intellectual, emotional, and social development. Why can't Clover Kids show large animals, such as horses, cattle, sheep, or swine? For safety, liability, and competitive reasons often associated with livestock shows, some restrictions are necessary to maintain Clover Kids program objectives. According to the 4-H Policy and Procedures Handbook, Clover Kids should not participate in animal events when the animal is great than 350 pounds or more than six months of age at the time of the show. Children eight and under often lack the mental and physical skills for controlling and understanding the strength of large animals. Please check with your local Extension office for more specific information. The 4-H Clover Kid program is coordinated by local Extension offices. To learn more abou the Clover Kid program in your area or to join Clover Kids, please contact local Extension office.